Stay happy, healthy, and active at The Glenn Minnetonka. Our friendly and professional staff is here to offer all residents a caring home close to what matters most. Let us welcome you on your journey into senior living. Enjoy an easy retirement at The Glenn Minnetonka. We offer you the freedom of a low-maintenance lifestyle enhanced by exemplary amenities. Our independent living apartments in Minnetonka, MN, are equipped with everything you need to live well. For more information on independent living in The Glenn Minnetonka, give us a call. Let us show you the convenience of The Glenn Minnetonka. 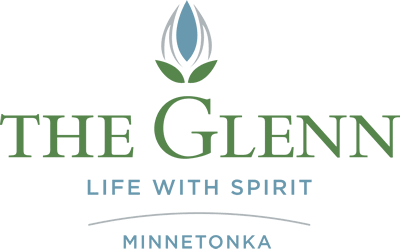 The Glenn Minnetonka is thoughtfully designed to provide you or your loved one with high-quality assisted living care. We surround our residents with a professional staff and supportive services, something that is especially important to seniors in need of a little extra assistance with activities of daily living (ADLs). Here, you don't have to sacrifice your independence. We encourage our residents to live a life of freedom and flexibility. For more information on assisted living at The Glenn Minnetonka, contact our staff. For those living with memory impairment, Alzheimer’s, or dementia, The Glenn Minnetonka offers a carefully crafted memory care program. We offer our residents a supportive environment that conforms to your individual needs. Our caring and professional staff creates a customized plan of care for each individual resident. We work hard to build trust and form emotional bonds with our residents that will enhance their lives for years to come. For more information on memory care at The Glenn Minnetonka, contact our staff. For short or long-term rehabilitative care, The Glenn Minnetonka is here to help. We offer care suites and services in Minnetonka, MN. Our caring staff is here to provide round-the-clock nursing services, as well as to assist with activities of daily living. We work with your hospital and/or doctor to develop a customized plan of care that is unique to each resident and ensure that your loved one’s needs are met and that their plan is executed with accuracy and compassion. Learn more about the individual care levels offered at the Care Suites in The Glenn Minnetonka.